Friday: The Cardinals announced the signing today, so it’s a done deal. Two years with a vesting option. Ken Rosenthal says Miller will earn $11M in 2019 and $11.5M in 2020. The $12M option for 2021 vests with 110 appearances from 2019-20 and comes with a $2.5M buyout. Similar to the Yankees and J.A. Happ, Miller wanted a three-year deal and was willing to compromise on a vesting option. 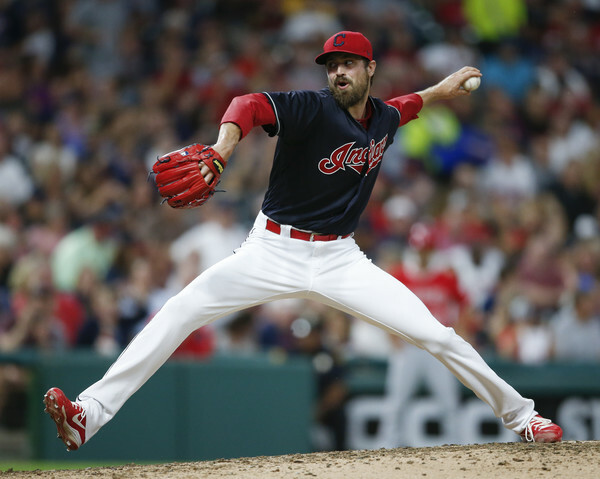 Thursday: According to multiple reports, free agent left-hander Andrew Miller has agreed to a multi-year deal with the Cardinals. The contract details are unknown at this point but Miller was said to be seeking three years. Either way, he’s heading to St. Louis and there is now one fewer free agent reliever on the board. 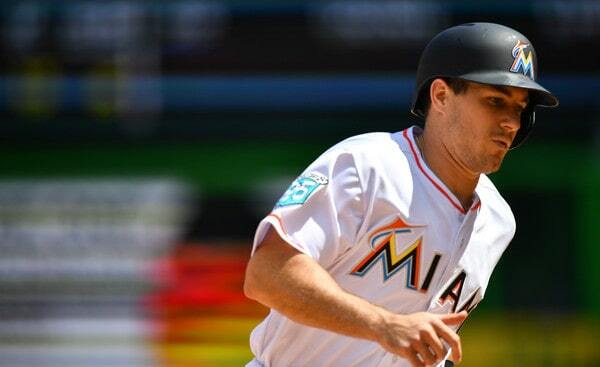 It was reported in recent weeks that the Yankees had interest in reunion with Miller. They reviewed his medicals in November — that was much more than a formality given this season’s hamstring, knee, and shoulder trouble — and Brian Cashman met with Miller’s agent at some point, likely during the Winter Meetings last week. 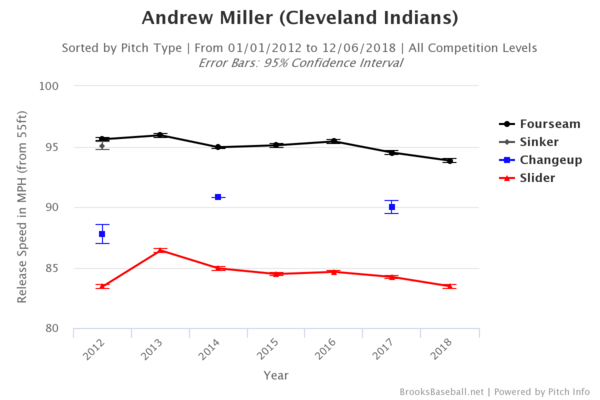 I don’t know anyone who doesn’t love Andrew Miller but giving three years to a soon-to-be 34-year-old reliever with an injury history makes me a tad squeamish. 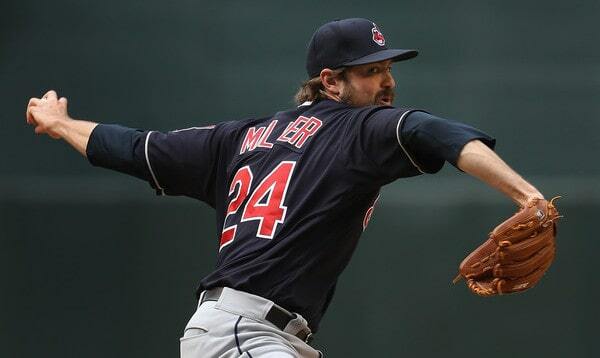 Miller clearly was not himself this season, throwing 34 innings with a 4.24 ERA (3.51 FIP) and 29.2% strikeouts. Giving him three years at this point really would’ve been pushing it, I think. Miller, Jeurys Familia, and Joe Kelly have all signed within the last week or so. The free agent market still offers plenty of quality relievers though, including David Robertson, Zach Britton, Adam Ottavino, and Craig Kimbrel. The Yankees are reportedly seeking two relievers. My guess is they’ll sign a big name and add an under-the-radar type. The Winter Meetings are over but the hot stove marches on. 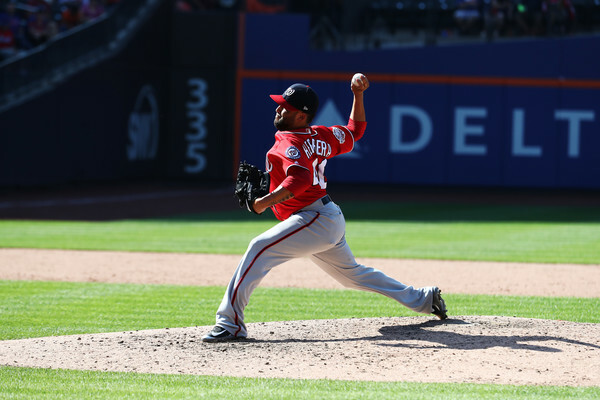 The Yankees are still looking for a middle infielder and two relievers, plus general depth. “I got a lot of lines out and we are still fishing. We are going to try to catch a very particular type of fish in very particular categories. We will bring the boat back to dock and send her out tomorrow and drop our lines again,” said Brian Cashman to George King last week. Here are the latest hot stove rumblings. Manny Machado will visit the Yankees on Wednesday, reports George King. He’ll reportedly visit the White Sox and Phillies at some point this week as well. Machado will be the second free agent to visit the Yankees this offseason (that we know about), joining Patrick Corbin. Corbin inked a six-year deal with the Nationals a few days after touring Yankee Stadium. 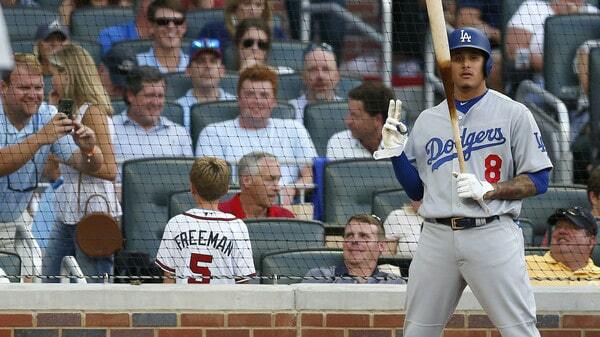 I don’t get the sense Machado will sign as quickly after the face-to-face meetings as Corbin, but who knows. Hal Steinbrenner has made it clear Machado needs to explain the non-hustle thing before the Yankees would consider signing him, but seriously, what answer could Machado give that’s satisfactory? I doubt “I’m sorry, it won’t happen again,” will cut it. To me, Hal’s comments are little more than a great sound bite to placate the portion of the fan base that obsesses over this stuff. The Yankees value Machado at X and they will sign him if he agrees to X (or something less than X), not if he says the right things at the meeting Wednesday. End of story. According to Nick Cafardo, the Yankees will “monitor” free agent infielder Troy Tulowitzki’s progress as he works his way back from dual heel surgeries. The Blue Jays released Tulowitzki with two years and $38M remaining on his contract last week. Any team can now sign him for the pro-rated portion of the league minimum. Six teams, including the Cubs, are after Tulo, report Susan Slusser and Jon Heyman. Tulowitzki, 34, has not played since July 2017 due to a variety of injuries. 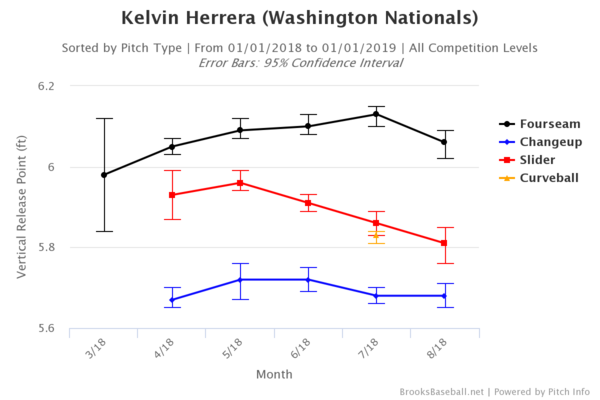 He hit .249/.300/.378 (79 wRC+) with crummy defensive numbers in 66 games in 2017. Reports indicate Tulowitzki has recovered from his heel surgeries and is working out, and is willing to play second or third base. He’s going to hold a showcase at some point, apparently. 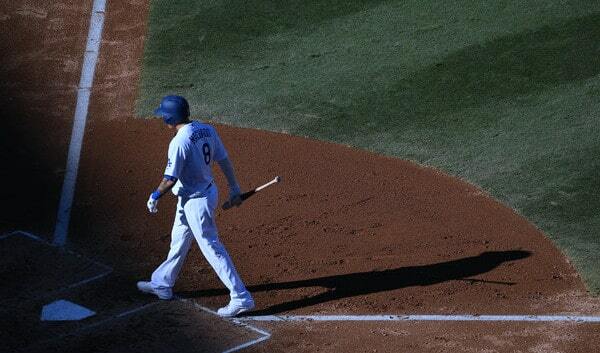 I’m not against bringing Tulowitzki in as a low-cost flier. Does it make sense for the Yankees to guarantee him the type of playing time it’ll probably take to sign him though? Eh. Debatable. Brian Cashman met with Mark Rodgers, Andrew Miller’s agent, at some point his offseason, reports Kristie Ackert. My guess is it was at the Winter Meetings last week. (Cashman met with Adam Ottavino’s agent last week.) The Yankees reviewed Miller’s medicals earlier this winter, which is a) not unusual for a free agent, and b) more than a formality given his injury problems this past season (hamstring, knee, shoulder). That they reviewed the medicals and still have interest suggests they feel good about things. 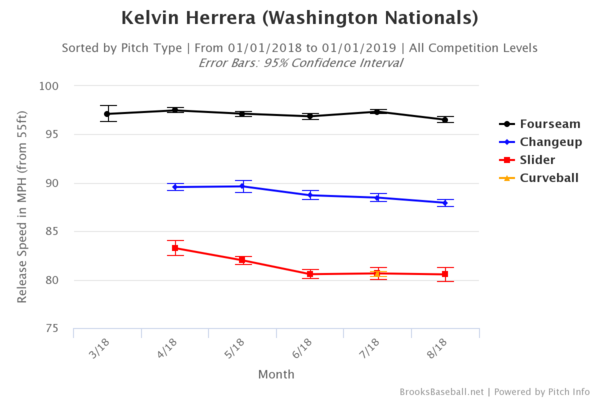 The Cardinals, Mets, and Phillies are among the teams that are said to have interest in Miller this offseason and the free agent reliever floodgates may open now that Jeurys Familia and Joe Kelly have signed. Familia got three years and $30M and Miller wouldn’t be wrong to seek a larger contract. Three years is really pushing it at this point giving the knee problems that span multiple seasons. Perhaps Miller would be open to returning to New York on a higher priced two-year deal? I guess the more relevant question is whether the Yankees are open to a higher priced short-term contract, or would they tack on that extra year to get a lower luxury tax hit? I guess we’ll find out. Yusei Kikuchi traveled to Los Angeles this past weekend and will begin meeting with interested teams in the coming days, report the Kyodo News and Sports Nippon. “(I) will narrow down the choices after hearing the opinions of my agent and Japanese staff,” he said, adding he will “of course” be open to joining any of the 30 teams. Kikuchi is a Scott Boras client and it sounds like the bulk of meetings will take place at Boras’ Southern California office. Last week Brian Cashman admitted the Yankees scouted Kikuchi “extensively” and said he’s discussed the 27-year-old southpaw with Boras. That was before the Yankees re-signed J.A. Happ, however, so it’s unclear whether the Yankees will meet with Kikuchi and make a serious attempt to sign him. It could be they’re done with their rotation and will now move on to other things. Here’s everything you need to know about Kikuchi. 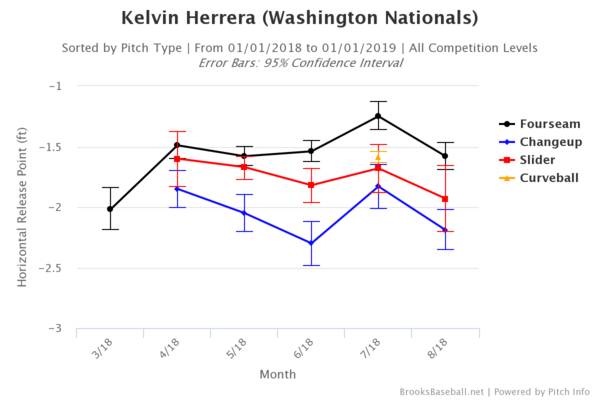 I’d be totally cool with pursuing him and going into next season with a six-man or modified six-man rotation until someone gets hurt, which will happen because it always happens. In the latest Sonny Gray non-update, George King reports the Yankees are still evaluating the trade market for the right-hander. “As far as Sonny Gray, (we) continue to assess all options with him. There are various opportunities to consider, different types of deals that are being offered. We are weighing all our needs, both now and future needs and prospects and Major League pieces and what holes we can fill on the Major League roster,” said assistant GM Mike Fishman. Last week it was reported eleven teams initially showed interest in Gray, and the Yankees have since whittled the list down to a handful of serious suitors. The asking price is said to be high — the Yankees asked the Reds for top prospect Taylor Trammell — though I imagine it’ll come down soon enough. Now that J.A. Happ has returned and the Yankees have their five starters in place, their efforts to move Gray could pick up steam. His projected $9.1M salary is a nice chunk of change the Yankees could use to address needs elsewhere on the roster. The GM Meetings wrapped up today and there was some hot stove action this week. 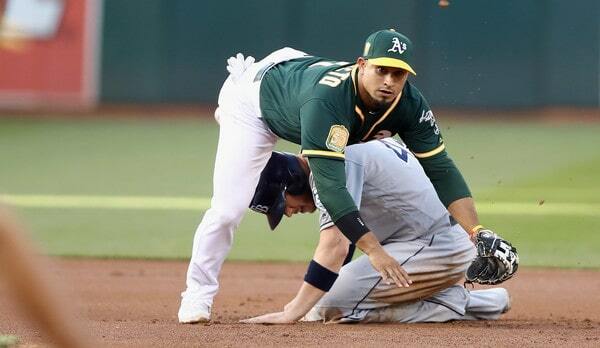 The Yankees re-signed CC Sabathia and, last night, the Rays traded Mallex Smith to the Mariners for Mike Zunino. Not mad about it. Smith gave the Yankees some headaches the last two years. Anyway, here’s the latest. As expected, the Diamondbacks are receiving considerable interest in first baseman Paul Goldschmidt, but not from the Yankees, reports Jon Heyman. Arizona collapsed this past season — they were one game up in the NL West on the morning of September 1st and finished nine games back — and they stand to lose Patrick Corbin and A.J. Pollock to free agency. They’ve hinted at tearing things down and rebuilding, and they have some possible fits for the Yankees. 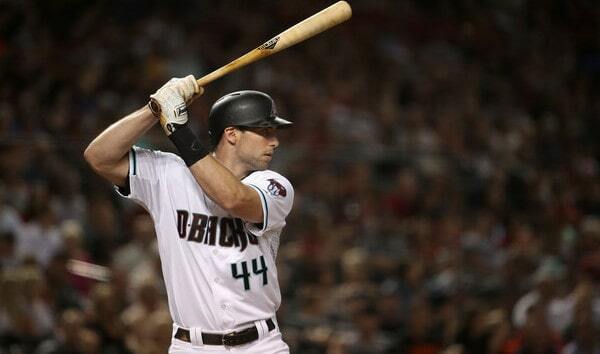 Goldschmidt, 31, is the best first baseman in baseball and on the short list of the best players in the game overall. He hit .290/.389/.533 (145 wRC+) with 33 homers this past season and is a Gold Glove caliber defender. The D’Backs exercised his no-brainer $14.5M club option last week, so he’s a one-year rental. 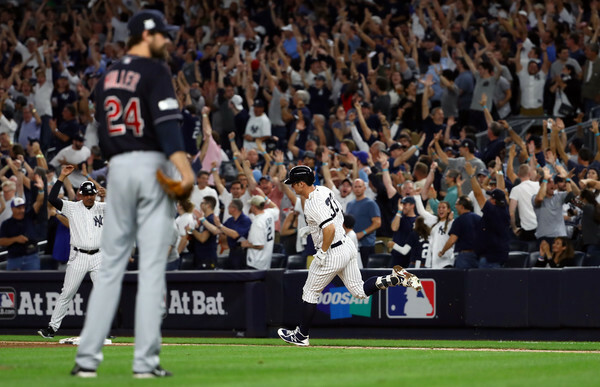 The Yankees might have two viable big league first basemen (Luke Voit and Greg Bird) or they might have none. I dunno. Either way, Goldschmidt would be a clear upgrade, but he wouldn’t come cheap, even with one year of control. For now, the Yankees aren’t showing interest. The Yankees have interest in free agent lefty reliever Andrew Miller and have requested his medical information, reports Andy Martino. As I noted yesterday, lots of team request medical information from lots of players, especially early in the offseason. It doesn’t mean they are progressing toward a deal or anything. The team is just doing due diligence. Miller had shoulder trouble this year and has had knee problems the last two years. In fact, the Indians even sent him to see the Cleveland Cavaliers’ doctors because they have more experience with tall dudes and knee injuries. 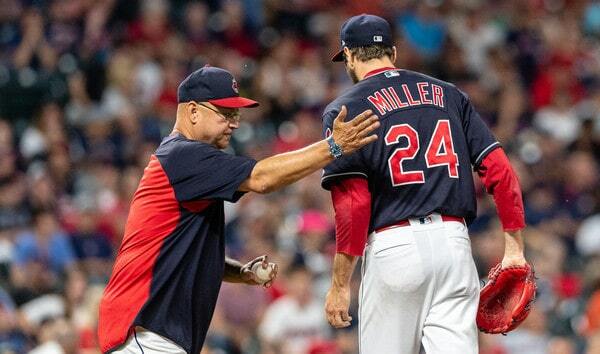 This past season the 33-year-old Miller had a 4.24 ERA (3.51 FIP) with 29.2% strikeouts in 34 innings around his injuries. He was far more wild and hittable than he’d been the last few years. If you watched the postseason, you know Miller wasn’t right. He didn’t look like himself at all. For what it’s worth, Miller’s agent told Joel Sherman his client recently received a clean bill of health. That’s great, but teams are going to give him their own physical and make sure for themselves. Miller’s a great dude, but he’s entering his mid-30s and he seems to be breaking down physically. His medicals will be scrutinized. I had a feeling this was coming. According to Heyman, the Yankees have interest in free agent utility man Josh Harrison and have already met with his representatives. I assume that happened at the GM Meetings this week. Didi Gregorius will miss the start of the season with Tommy John surgery and the Yankees need a replacement middle infielder. Harrison can play second, then, once Gregorius returns, he could shift into a utility role. Harrison, 31, hit .250/.293/.363 (78 wRC+) this past season and is a year removed from a .272/.339/.432 (104 wRC+) batting line with a career high 16 homers. His OBP was propped up by 23 (!) hit-by-pitches. Harrison was hit 23 times in 128 games last year. He was hit 31 times in the other 714 games of his career. The Yankees have been connected to Harrison a few times in recent years but never seemed to seriously pursue him. Now that he’s available for nothing but cash, the Yankees could pounce. I hope he’s Plan C or Plan D rather than Plan A or Plan B though.